Just a little update for you. My Spring Break Tour was absolutely magnificent. 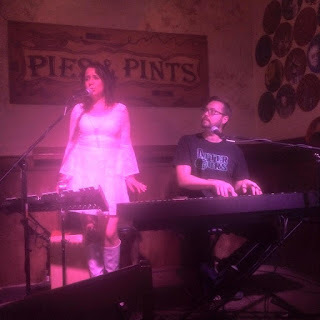 Here are a couple of pics from my show at Pies & Pints in Seattle, WA, with my dear friends, Helen Chance and Jef Shocki! "Many songs that we love might feel familiar to us when we first hear them, but in fact are original. This musical déjà vu builds an immediate trust of the artist's voice, and allows us to relate to universal musical qualities. This is obvious when reading the comments section of unofficial YouTube videos for many American popular songs of the last 75 years—as I do frequently amid late night Internet rabbit hole sessions. As you read these threads, it's clear people relate to these nostalgic sentiments and use them as time machines for their own lives. 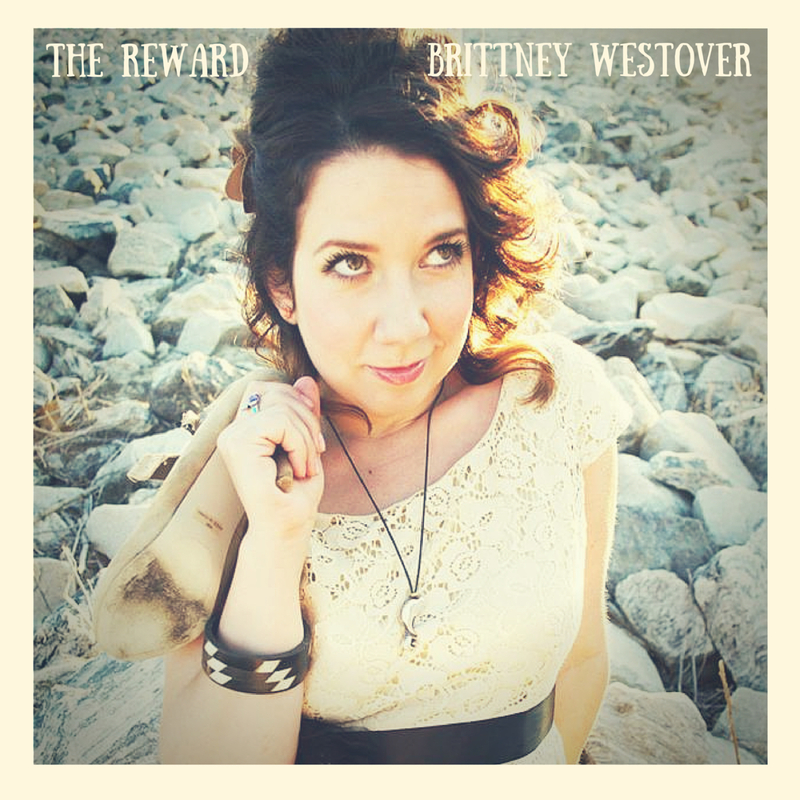 Brittney Westover has spent her entire life absorbing songs and the musical signifiers that make up the lingua franca of vintage popular music. It's been her environment from the beginning, and through this absorption, she has developed an intuitive understanding of how songs are constructed and operate. Brittney is able to use this mastery to create universal pop songs. Unlike the vast majority of music generated today, her songs are memorable, way after they end and the next song begins. These songs manifest ear worms that swim into your nervous system, building homes in the mind's ear. All of the songs on "The Reward" refer to love and romance. Love's ultimate relatable nature is the de facto theme of most classic popular songs. 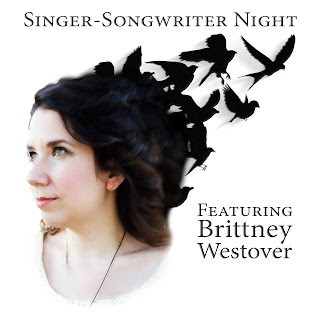 Like many great love songs, Brittney's lyrics eschew the abstract, and instead are direct, conveying intimacy, in conversational third person, towards a lover, or an ex, in the case of the opening song, "The Reward," which more specifically refers to love's antithesis, heartbreak, and the disillusionment it creates following a relationship ghosting. "The Reward" features doo-wop girl group vocals, spring reverb, Enchantment Under The Sea—prom guitar stabs on the two and four, and a carousel piano line. According to the timeframe, in the next track, "To Give You My Love," the previous heartbreak is mended and transcended by true love, and is commemorated with a surprise cameo duet with her beloved. The song highlights the importance of intent in the game of love, that's acknowledged in the following song, "Make Things Grow." 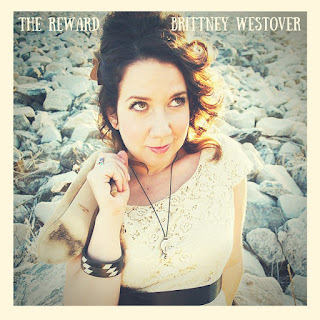 There, Brittney explores the loving symbiosis that was absent with the ghost player in "The Reward." The contentment established in the previous songs create a bed for the pure gospel song, "Safe With Me," to bundle up in. The song conveys tenderness without being twee or saccharine. With its four blue chords and church organ gargles, it soothes and consoles with an earnest authenticity. It's as affective as J. Spaceman's pure gospel explorations on Spiritualized albums. I've heard a rumor that the song was written for Brittney's dog, which changes the initial connotation slightly, but not really, and carries on a long tradition of songwriters penning loosely coded love songs for their pets. The last two songs, "Dream Come True" and "Don't Doubt," highlight Brit's modern influences. Listening to the intro to this waltz, I immediately thought of Kate Bush and Tori Amos, though the climax of the song is all Brittney, allowing her to exercise her inner diva, with Mariah whistle tones in Brit's upper register. The string arrangement on the last track aches, swells, and descends reminiscent of Sigur Rós and Radiohead. The strings are drenched with just the right amount of reverb to induce shivers. 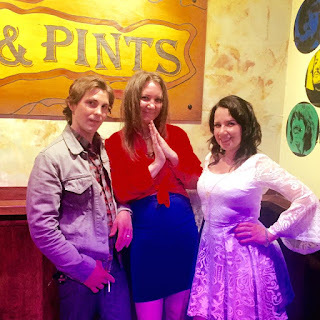 There's universality in Brittney's love songs, and someday, I'm pretty sure the comments section of Brittney's future YouTube videos will be festooned with their own nostalgia." So now all that's left to do is find a venue for my Record Release Party this summer! I have put a few calls out and I am waiting to hear back from a few places in LA. I promise I will let you all know when I decide where it will be. In the meantime, Mike and I are going to check out a potential wedding venue today. It's a lighthouse on an ocean bluff! Check it out: https://sanluislighthouse.org It looks absolutely gorgeous. Hopefully they have some dates available for next summer. We'll let you know if it works out for us. After that, we will be returning to LA to play a show in Valley Village! It's at a church, but it's BYOB, which is pretty cool! Thanks to Dylan Vaughn for making this sweet flyer! The address is Faith Presbyterian Church 5000 Colfax Ave Valley Village, CA 91601. Thanks to my friend and colleague, Kevin Story, for booking it!The show starts at 7:30. We hope to see some familiar faces there! Til next time, take care of yourselves, and each other.